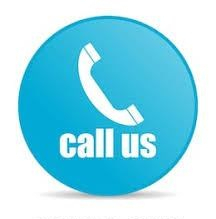 At Gonzalez & Rodriguez, P.L., we have the skill and experience to represent you in any type of alimony matter. Whether you are seeking to divorce your spouse but do not want to go forward because you are concerned about experiencing financial difficulties afterwards or your soon to be ex-spouse is demanding you pay alimony but you do not have the financial resources to do so, we will provide you with personalized and high-quality legal representation. Since 2003, from our office in Coral Gables, Florida, our team of knowledgeable lawyers has represented individuals and businesses in Miami and throughout South Florida in alimony disputes. We serve a diverse clientele, including clients from Venezuela, Brazil, Cuba, Colombia and other countries in Latin America and the Caribbean. To discuss your case with us, call 305-461-4880 or Contact us online. •· Lump sum (a one-time fixed amount payment). Even after alimony has been awarded, it may be modified or terminated based upon a showing of a substantial change in circumstances or the existing of a supportive relationship. Our team understands how important it is for your peace of mind that you are receiving or paying the proper amount of alimony based on your ability to pay and the other person’s need. Alimony – What is it?